Online buying and selling has become a very popular way to shop here in the Philippines. Bukod sa transactions can be done anywhere as long as there’s an internet connection, less hassle pa for both buyers and sellers dahil hindi na problem kung nasaan man ang buyer o seller- items can be shipped through courier straight to the buyer’s location. 10. Don’t reveal personal information. Remember this is a business transaction, so never reveal Social Security numbers, home or business addresses or banking information. Ang ganitong klaseng information ay maaaring magamit to steal your identity or your resources. According to John, matagal nang online seller, since meet-up naman ang gagawin niyo, phone numbers lang ang kailangan niyo malaman for the transaction to push through. 9. Keep your cell phone close. 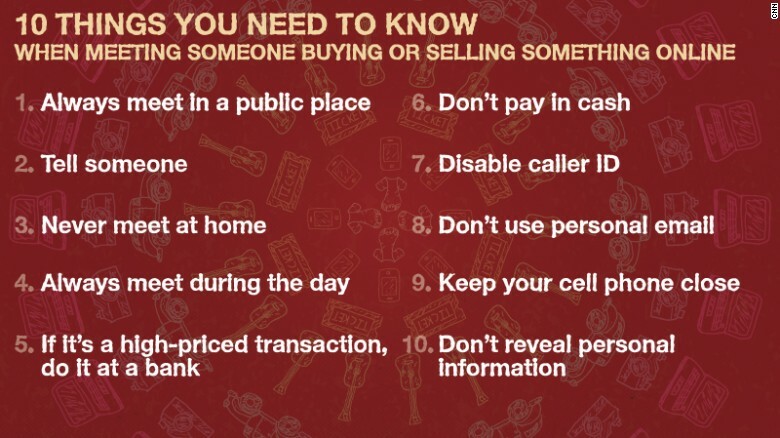 Have a cell phone in your hand during the entire transaction and be ready to call 911 at the first sign of trouble. Dito sa atin sa Pilipinas, the emergency number is 117. 8. Don’t use your personal email. Use an anonymous email address to communicate with the buyer or seller. Mag-register ng ibang email address na gagamitin mo when inquiring about items being sold online. 7. Disable caller ID. Disable caller ID when calling the buyer or seller on the phone. Kung sa tingin mo ay kaduda-duda ang seller or buyer, also consider the option of blocking their number in your phone. 6. Don’t pay in cash. Do not accept cash and do not offer to pay in cash. Use a cashier’s check instead and make it a non-negotiable term of the transaction. While most sellers only accept cash, pumayag lamang na bayaran ang item sa meet-up. If the seller asks na ipadala ang payment before the meet-up, baka hindi mo na makuha ang item at all. And, before paying, check the item first. 5. If it’s a high-priced transaction, do it at a bank. The higher the price of the item involved, the higher the risk of the transaction. Conduct these transactions at a banking facility so a banking professional can confirm the funds have been delivered successfully. Kung bibili ng items of high value kagaya ng mga sasakyan, advisable na gawin na lang ito sa loob ng bank. 4. Always meet during the day. Never conduct your transactions at night. For those who conduct meet-ups after office hours, gawin sa matao at maliwanag na lugar kagaya ng mall. 3. Never meet at home. Find a neutral site to meet – never at your or someone else’s home. Maaari mong maipahamak ang iyong sarili o ang may-ari ng bahay kung sa mismong tirahan kayo magsasagawa ng transaction. 2. Tell someone. Tell a trusted friend or family member what you’re doing and have another trusted friend or family member accompany you to the transaction. Kung walang choice kundi pumunta nang mag-isa, leave the name, phone number, and other details (halimbawa, place and time of meet-up, his/her username) na may kinalaman sa inyong ka-transact with friends or family members. Kung may mangyari sa iyo, maaari ka pa ring ma-trace ng iyong pamilya o kaibigan. 1. Always meet in a public place. Most police departments will be happy to accommodate you, and they are open 24/7. Para sa isang online group ng mga toy enthusiasts sa Facebook, they regularly meet at a mall’s food court every weekend to ensure that everyone is safe and that transactions go smoothly. Plus, they get to meet the members of their online community and make friends. 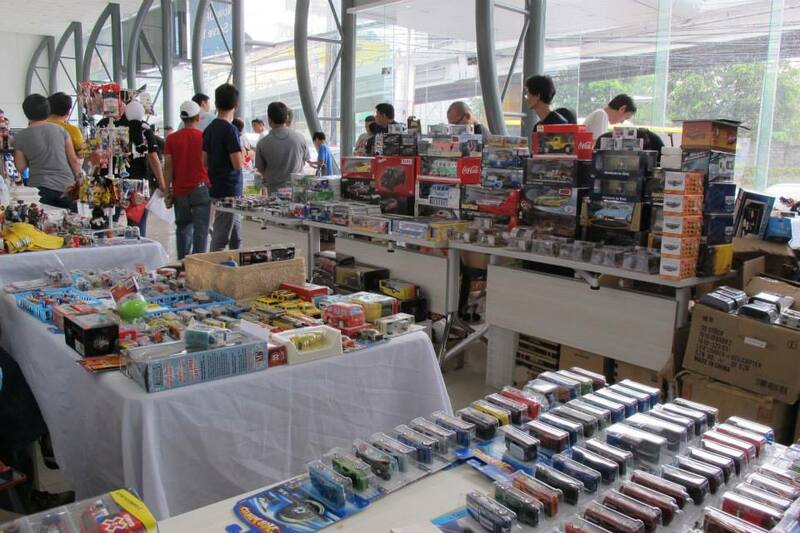 Online groups like the Die-cast Collectors of the Philippines regularly hold gatherings and swapmeets para makapag-meet ang mga members. Buying and selling transactions are done in these events, but these�transactions were previously agreed upon�online. Online selling has fostered the entrepreneurial spirit of Pinoys. With these tips in mind, we can help prevent untoward incidents sa e-commerce, and help keep online selling a rewarding way to do business, and a viable option for earning. Entertainment: Miss Universe Philippines 2015 winner Pia Wurtzbach, may special friendship nga ba with President Noynoy?